What is a tgz file and how do I open a tgz file? Compressed files created by the UNIX file archive and compressed using the GNU Zip compression are known as TGZ files. 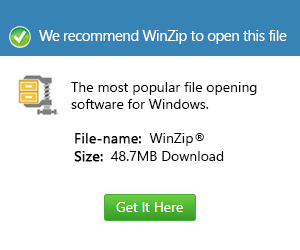 First, the TAR archive is used for bundling files together and then later on, a Gzip compression is used to reduce these files to the right size that don’t take up a lot of hard disk space. Now, these reduced files are attached with the file extension TGZ. TGZ files are actually short for .TAR.GZ., wherein UNIX and Linux systems are mostly the ones using these files. TGZ files can be decompressed and extracted to archived files through a single step and that is when the UNIX command line “tar -xzvf filename.tgz” is used. This is the exact command that’s used to decompress TGZ files at the same time extracting them from the TAR archive. Some Linux distributions use TGZ files for installation packages, so, while the ".tar.gz" extension is used for archives, TGZ files, on the other hand, are used for installers.